It was my best friend's birthday last May 24th, I haven't seen her for months so I was quite excited when I received a call from her husband asking if we could come for a small surprise gathering on the day of her birthday! I've tried Thaipan once during a launch for an accessory line called Le Papillon last year. (Read post HERE). I am impressed with the "homey" feel of the restaurant and the good service of the waiters. 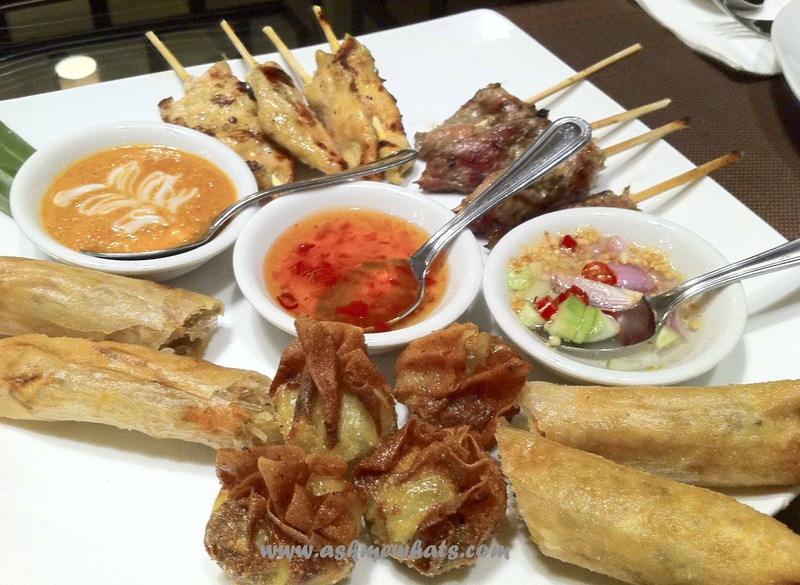 fried spring rolls and grilled pork. This appetizer came in with 3 different sauces and we all voted for the vinegar with peanut and chili! We loved this appetizer so much we ordered for second round. There were 2 types of rice ordered (another one is the Khao Pad Kai/Moo - a Thai style fried rice with chicken or pork, served with egg.) But check out the favoritism! 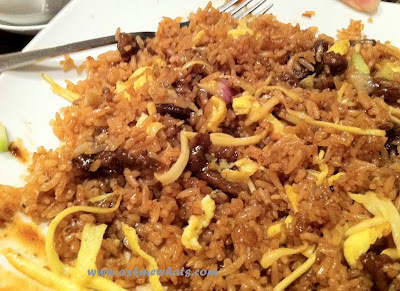 *laughs* Sorry, I love their Bagoong rice so much I forgot to take a photo of the other rice! 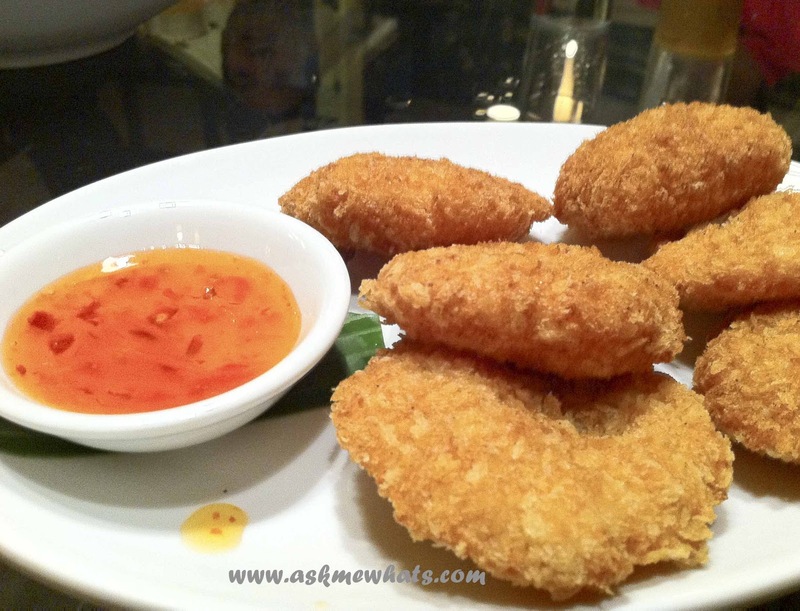 Very flavorful and the different ingredients blended well without the overpowering shrimp paste taste! A must try if you're a fan of bagoong! As recommended by OCMOMManila via Twitter, I picked this one and liked it! I love mangoes and I love the crunchy catfish! The twisted beans look unique and I love the right amount of spicy taste of the pork! Tender pork tastes so good on every bite! Perfect with your choice of rice! Reminded me so much of the Sweet and Sour fish fillet from Chinese restaurants! 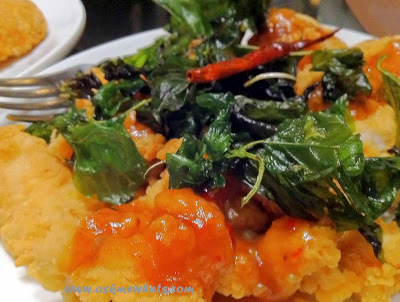 The Chili sauce made a huge difference on making it tastes like real Thai Food! Dory fish strips fried to perfection! I've tried a lot of Chicken in Pandan leaves that leaves the chicken meat dry and hard to swallow! 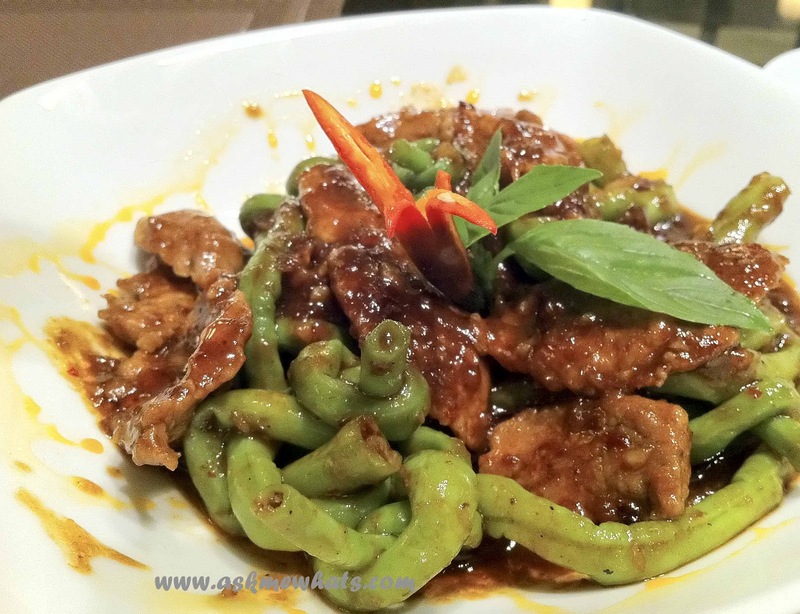 This version from Thaipan is different, the chicken has a lot of meat yet it's soft and juicy on the inside! 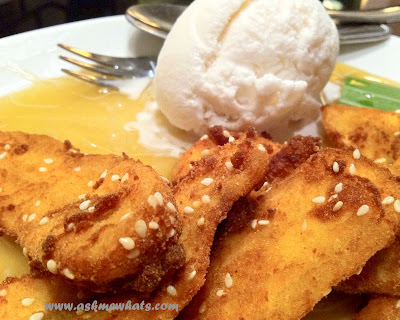 I'm not a fan of anything with coconut so I gave the ice cream a skip and tasted on the banana fritters! I'm in banana heaven! With a tiny amount of caramel sauce mixed with the sweet tasting banana fritters blends into the mouth like fireworks! Overall, I had a wonderful experience in this restaurant. Thaipan accepts reservations. Payment can be made in cash or credit card. 10% service charge will be included in the bill. 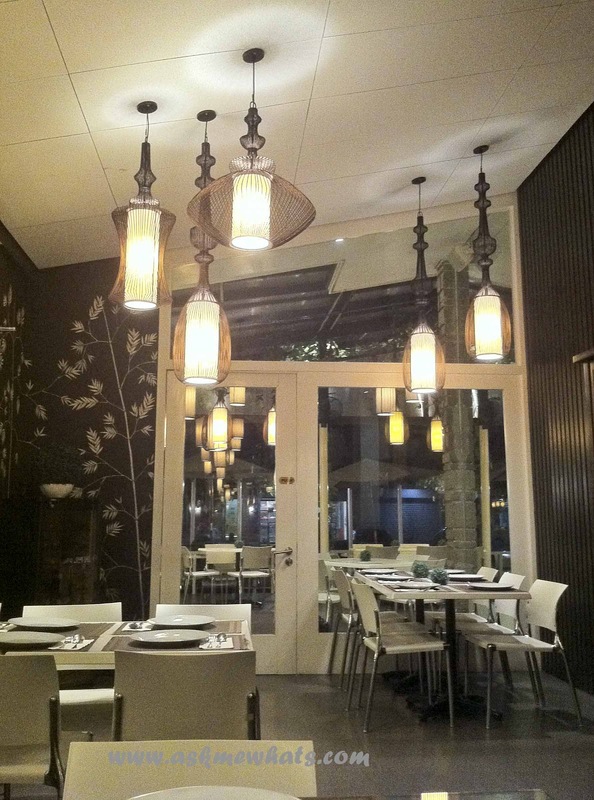 The restaurant is clean, quiet and very comfortable to relax with friends, family and your loved ones! 120 Sct. Dr. Lazcano St. 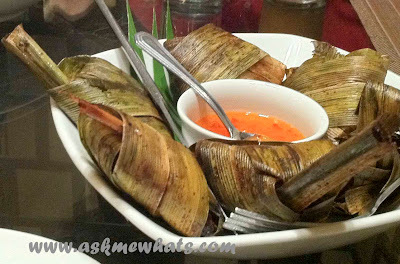 If you're living in the Philippines, have you tried Thaipan? What's your favorite Thai restaurant to date? waaah! chicken satay!! do you think they have mango and sticky rice there too?